If your workers handle sharp objects, the “cut-less” 3437 Majestic gloves will provide the extra hand protection they require. The ring-spun Dyneema material is 15-percent more resistant to cuts than continuous Dyneema, which will keep your team safer when performing tasks such as glass handling, assembly, operating industrial machinery and mechanical work. Fewer hand injuries contribute to increased productivity and less time away from the job. 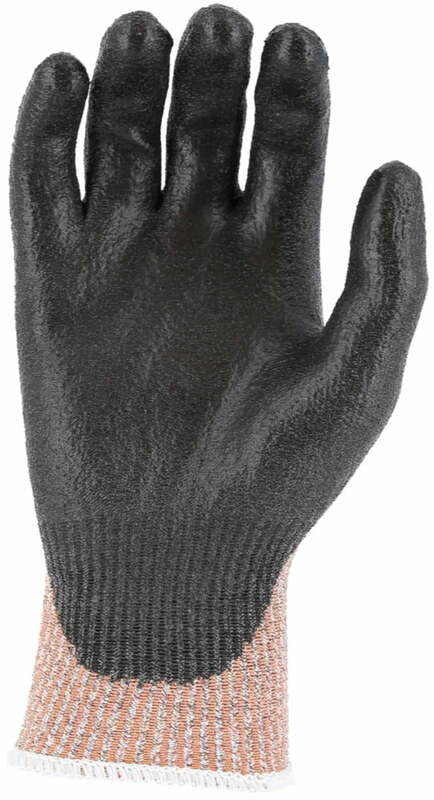 This revolutionary work glove consists of a gray shell with a black polyurethane palm coating. Combined with the 13-gauge seamless knit, it delivers exceptional protection along with maximum flexibility and comfort. 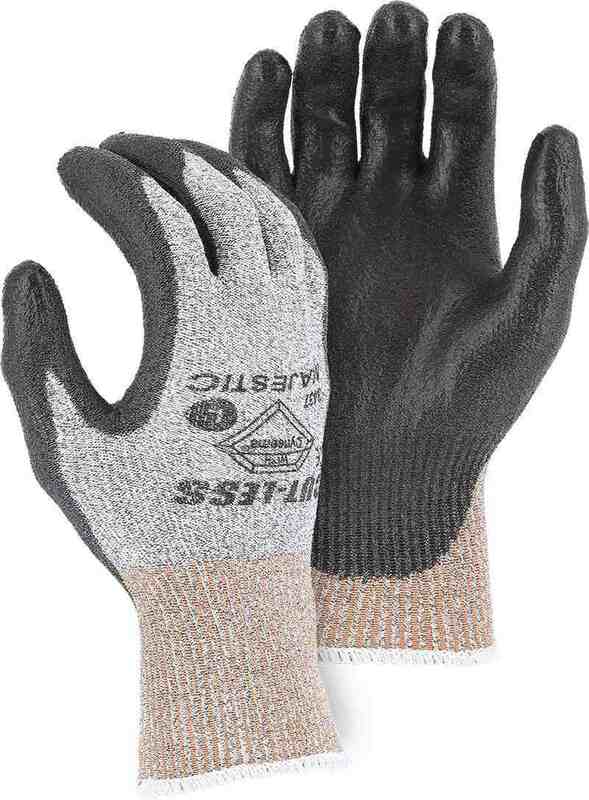 The Majestic 3437 glove is also durable and will provide reliable long-term performance in even the most challenging work settings. These Majestic cut-less gloves come in multiple sizes to accommodate your entire workforce – choose from small, medium, large, extra-large and XXL. Use the convenient sizing chart to determine the ideal fit for every member of your team. Are you looking to reduce your company’s supply costs? By purchasing Majestic cut-less gloves in bulk, you can take advantage of our money-saving volume discounts. These gloves also come with free shipping within the continental U.S. for all orders over $80 and our 30-day return policy. Place your order online quickly and securely today. Don’t hesitate to contact our top-notch customer service team if you have questions or require assistance — we’re always eager to help.